Dapsone (DPS) is a unique sulfone with antibiotic and anti-inflammatory activity. Owing to its dual action, DPS has a great potential to treat acne. Topical DPS application is expected to be effective in treatment of mild to moderate acne conditions. Invasomes are novel vesicles composed of phosphatidylcholine, ethanol, and one or mixture of terpenes of enhanced percutaneous permeation. In this study, DPS-loaded invasomes were prepared using the thin film hydration technique. 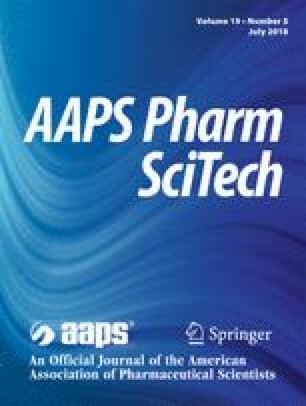 The effect of different terpenes (Limonene, Cineole, Fenchone, and Citral) in different concentrations on the properties of the prepared DPS-loaded invasomes was investigated using a full factorial experimental design, namely, the particle size, drug entrapment, and release efficiency. The optimized formulation was selected for morphological evaluation which showed spherical shaped vesicles. Further solid-state characterization using differential scanning calorimetry and X-ray diffractometry revealed that the drug was dispersed in an amorphous state within the prepared invasomes. Finally, the ability of the prepared DPS-loaded invasomes to deliver DPS through the skin was investigated in vivo using wistar rats. The maximum in vivo skin deposition amount of DPS was found to be 4.11 mcg/cm2 for invasomes versus 1.71 mcg/cm2 for the drug alcoholic solution, representing about 2.5-fold higher for the invasomes compared to the drug solution. The AUC0–10 calculated for DPS-loaded invasomes was nearly 2-fold greater than that of DPS solution (14.54 and 8.01 mcg.h/cm2 for the optimized invasomes and DPS solution, respectively). These results reveal that the skin retention of DPS can be enhanced using invasomes. All experimental procedures were conducted in accordance with the guide for care and use of laboratory animals and in accordance with the Animal procedures were performed in accordance with the Ethics Committee and followed the recommendations of the National Institutes of Health Guide for Care and Use of Laboratory Animals (Publication No. 85-23, revised 1985).